Honestly I haven’t tried to paint my finger nails in YEARS. I rarely ever clip them on my own let alone paint them. It is too hard to squeeze those tiny clippers or paint, especially with my right hand (it’s more damaged from RA and I’m left handed). 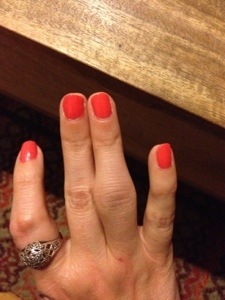 Then a few weekends ago, I painted my right hand in the middle of a party and had a friend do the left. Tonight, I clipped, filed and painted all of my finger nails. I was inspired by all the women I know who do it themselves (Jen, Allison, my grandma, just to name a few) instead of getting manis. 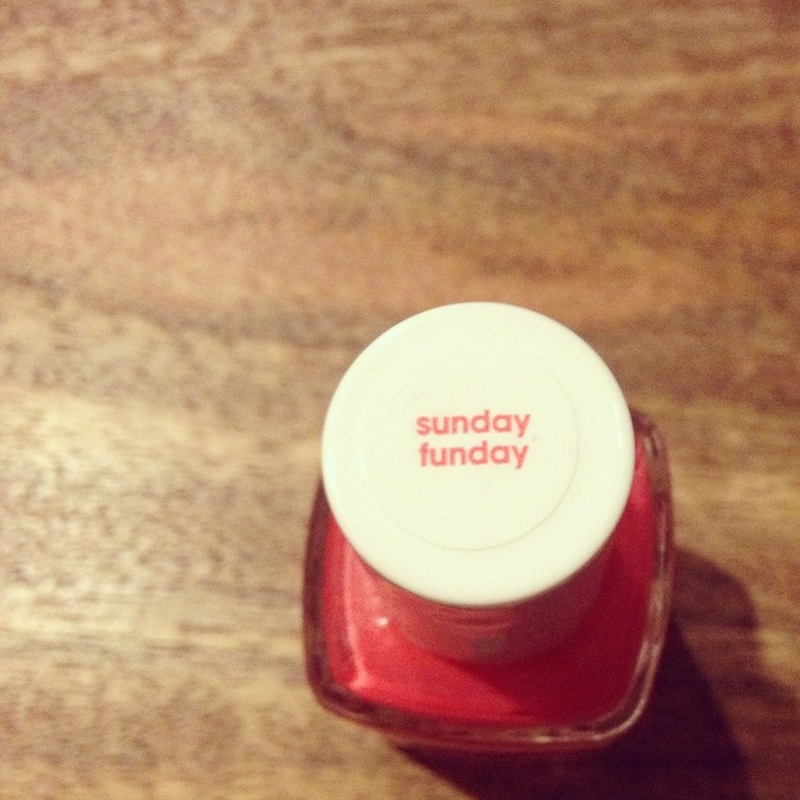 I bought an Essie pink called Sunday Funday and made my attempt. It looks pretty good! Way better than I would have thought. Another thing I thought I couldn’t do but can. Fun!